– Christian drug rehabs and drug rehabs. We would like to invite you to our 2018 annual Teen Challenge Orlando Banquet! This year’s theme is “Alive” to celebrate our students as they come alive in Christ. The purpose of this event is to raise awareness about the drug epidemic impacting our community, as well as raise support for Teen Challenge Orlando, a program that is fighting on the frontlines in the war against addiction. The evening will include a message from the CEO and President of Global Teen Challenge, Dr. Jerry Nance, student testimonies, delicious food and more as we celebrate what God is doing through Teen Challenge. Come join us in our effort to continue putting HOPE within reach of those caught in addiction and other life-controlling issues. Should you need help finding rehabs, addiction treatment centers, boarding schools with therapy, addiction treatment centers,rehabs near me, or drug rehabs, please let us know. Adult and Teen Challenge is the largest and lowest cost group of rehabs in the nation. They report the highest addiction recovery success rate for long-term addiction recovery, earning the praise of government and civic leaders. Discover how Adult and Teen Challenge centers can help an addicted or alcoholic loved one or colleague affected by drug abuse. 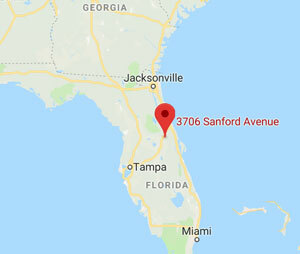 Orlando, Florida area rehab providing affordable substance recovery and addiction recovery for men in and around Central Florida, including: Delton, DeBary and DeLand in Volusia County, Lake Mary, Oviedo, and Altamonte Springs in Seminole County, Apopka, Bithlo and Union Park in Orange County, and Mt Dora in Lake County.